I guess this is related...?. I dunno.. Wallpaper and background images in the The 潮流粉丝俱乐部 Family club tagged: wat lolderp random. This The 潮流粉丝俱乐部 Family photo contains 肖像, 爆头, 特写镜头, 特写, and 爆头特写. There might also be 吸引力, 感染力, 辣味, 热情, and 上诉火辣. I dunno. We needed moar pikchures. My reaction to many things. I guess this is related...? I would be sad. 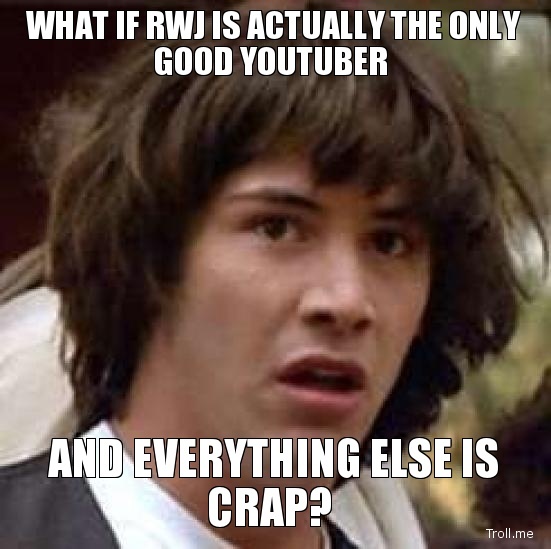 Even though I love RWJ.